Whether or not you decide to stay, thank you for supporting me in my writing adventure! Be sure to check your email for your free books, which should arrive very shortly. Or you can simply use the handy button on the bottom of this page! 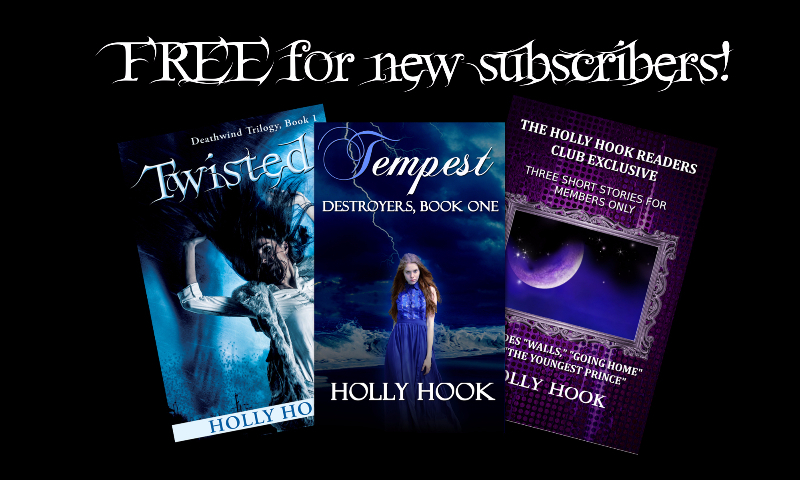 If you have any issues, feel to to email me at hollyhook@hollyhookauthor.com. I usually answer my emails a little before 5PM on weekdays and I'll get to you as soon as I can.